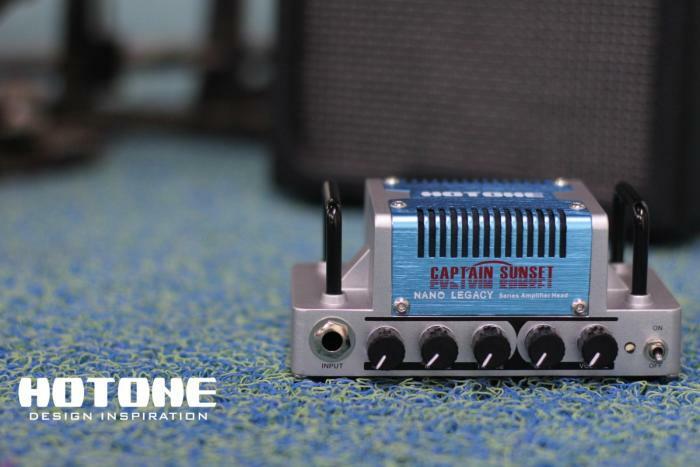 Captain Sunset is a micro-amp head that weighs in at just 440 grams. It takes its inspiration from the classic Soldano SLO 100* high gain tube amp. The compact configuration is designed for portability, with high quality tone with volume and gain controls and a 3 band EQ for shaping your sound. There’s also an FX loop for external effects, a headphone output and an aux in for connecting other sound sources such as an MP3 player.